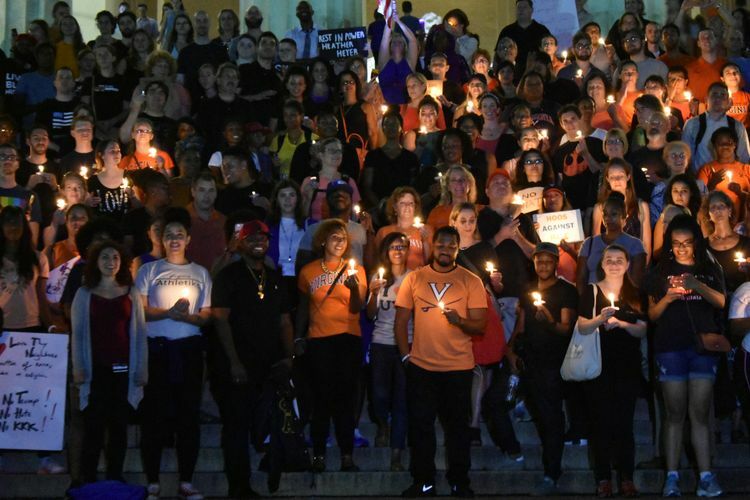 Resources for a Resilient UVA Community | Office For Equal Opportunity and Civil Rights, U.Va. The University of Virginia Office for Equal Opportunity and Civil Rights (EOCR) recognizes that individuals within our community may witness, experience, or learn information about harmful actions or planned action on UVA Grounds, on social media, and in the greater Charlottesville community. In such situations, we want to ensure that our community members know where to go for help and support. First and foremost, EOCR urges you to be vigilant in your own self-care (physically, psychologically, and emotionally). We also encourage you to inform the University as well as local officials as soon as possible should you become aware of actions or information that pose a risk to the safety, security, and well-being of all members of the University and Charlottesville communities. You can report a broad range of activity, even if you are unsure if it is bias or harassment, through Just Report It, the University's online reporting tool, and the information automatically will be routed to the appropriate University office for follow up. In the event of an emergency, please first contact 911. Virginia State Law, "Harassment by computer"
Bias and harassment incidents may also involve other modes of communication. Nationally, there has been an increase in the use of robocalls/texts to widely disseminate messages, the content of which expresses biases against targeted individuals or groups. To learn more please access the summary of information, linked below, from the Federal Communications Commission (FCC). In addition to Just Report It, you can also report supicious calls, texts, or apparent scams directed toward your University phone(s) to abuse@virginia.edu. We encourage you to review the information at the links above to learn more about your rights and responsibilities. The following table provides connections to resources, programs, and courses which may be of interest.